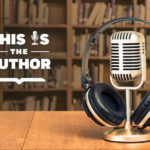 In this episode meet Alexia Vernon, author of Step Into Your Moxie, Mya Spalter, author of Enchantments, and Rachel Marie Martin, author of The Brave Art of Motherhood. Listen in as these experts lead you on a path of transformation and empowerment whether you’re seeking professional, spiritual or personal advice and inspiration. 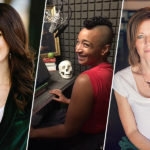 And, find out why one author’s dream narrator would actually be a full cast of wonderful, strong women.